Nine New Jersey counties, namely the ones hit hardest by Superstorm Sandy: Atlantic, Bergen, Cape May, Essex, Hudson, Middlesex, Monmouth, Ocean and Union, may receive a reprieve from the expiration of the NJ Permit Extension Act on June 30, 2016 by virtue of bills introduced in the Legislature this month. A3617, introduced on June 16, 2016, extends the expiring PEA by an additional year, but is limited to the 9 hurricane impacted counties. The bill reflects the sentiment that the storm recovery needed in these 9 counties deepened the economic challenges already facing property owners, developers and project managers. Its Senate counterpart, S2390, was introduced four days later. Originally signed into law in September 2008, the Permit Extension Act ("PEA") granted property owners, developers and project managers the extension of a number of approvals and permits issued at the state, county and local level through 2012. The PEA's original goal was to protect the viability of existing construction and development projects stalled by the impact of the 2007 recession. Given the State's economic condition at the time of the PEA's passage, numerous projects and financings faced "do-over's", as permits and approvals expired and project financing arrangements were at risk of lapsing. Without it, property owners, developers and project managers were faced with the necessity of duplicating expensive and time coznsuming administrative and regulatory proceedings and renewing their project financing. Additional amendments to the PEA in 2010, 2012 and 2014 further extended its protections. Despite requests made by stakeholders in January 2016 to push the expiration date back even further, the Legislature affirmatively declined to take such action and the protections of the Act were slated to expire later this month. A3617/S2390 changes that, at least for the Sandy Counties, by creating a "Sandy-impacted extension period" beginning January 1, 2016 and continuing through December 31, 2016. The bill specifically provides: "For any government approval in existence on December 31, 2015, concerning lands located entirely within one or more of the nine most Superstorm Sandy-impacted counties,...the running of the period of approval is automatically suspended for the Sandy-impacted extension period, except as otherwise provided hereunder; however, the tolling provided for herein shall not extend the government approval more than six months beyond the conclusion of the Sandy impacted extension period. 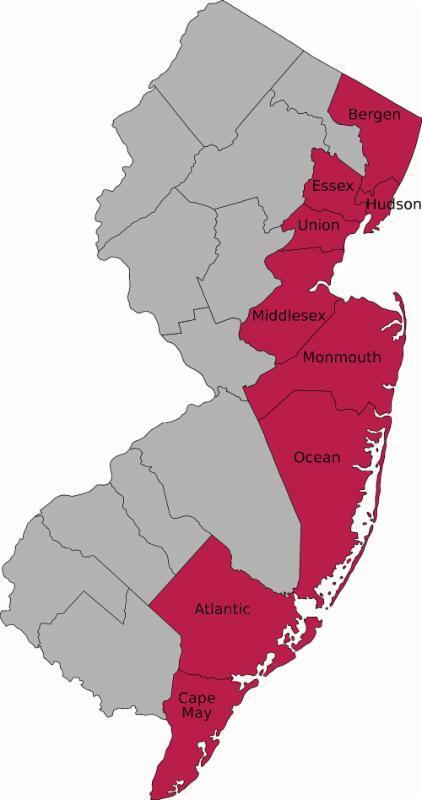 The nine most Superstorm Sandy impacted counties are Atlantic, Bergen, Cape May, Essex, Hudson, Middlesex, Monmouth, Ocean, and Union counties." If signed into law, this PEA amendment will have the benefit of the same "tail" as the previous one, effectively extending permits and approvals in the Sandy Counties a full year, until June 30, 2017. These bills must pass both Houses of the Legislature and be signed by the Governor before it can take effect. There is great hope that this will take place before the original expiration date of June 30, 2016, so that concerns about the bills retroactivity will not come into play. If you need assistance determining whether the permits and approvals on your project in any of the 9 Counties will be extended, please feel free to contact us. Lori Grifa is a partner at Archer & Greiner, PC and a director of Archer Public Affairs, LLC.From 2010-2012, she served as the Commissioner of the NJ Department of Community Affairs. If you have questions about the Permit Extension Act Amendment, please contact Lori at 201-498-8510 or lgrifa@archerlaw.com or any member of the Government Affairs Group in Haddonfield, N.J., at (856) 795-2121, in Princeton, N.J., at (609) 580-3700, in Hackensack, N.J., at (201) 342-6000, or in Philadelphia, Pa., at (215) 963-3300. DISCLAIMER: This client advisory is for general information purposes only. It does not constitute legal or tax advice, and may not be used and relied upon as a substitute for legal or tax advice regarding a specific issue or problem. Advice should be obtained from a qualified attorney or tax practitioner licensed to practice in the jurisdiction where that advice is sought. About Archer & Greiner, P.C.